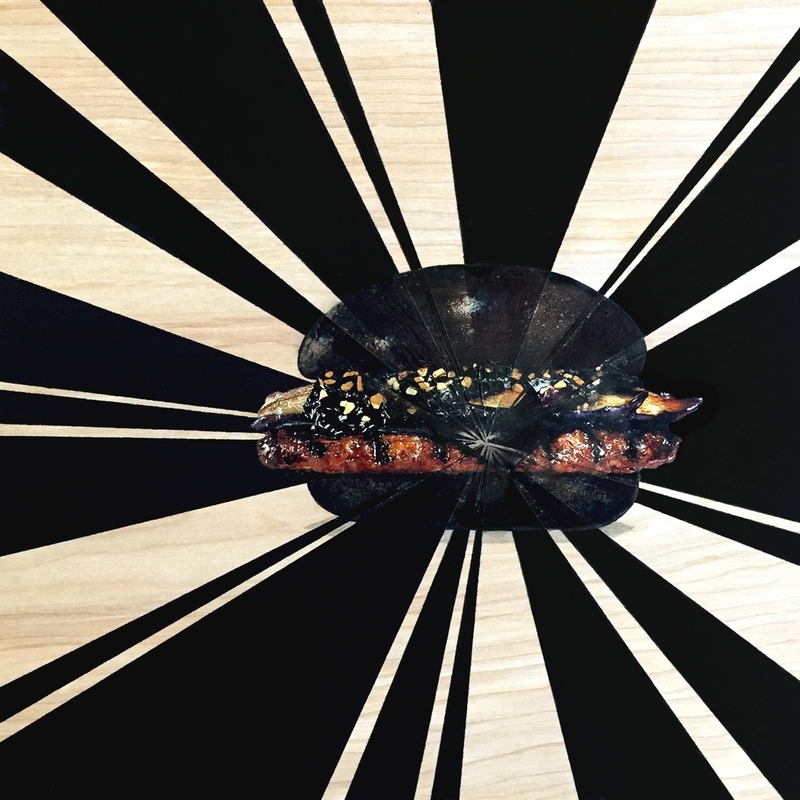 300 Plates Fundraiser. Photo transfer, acrylic, graphite. 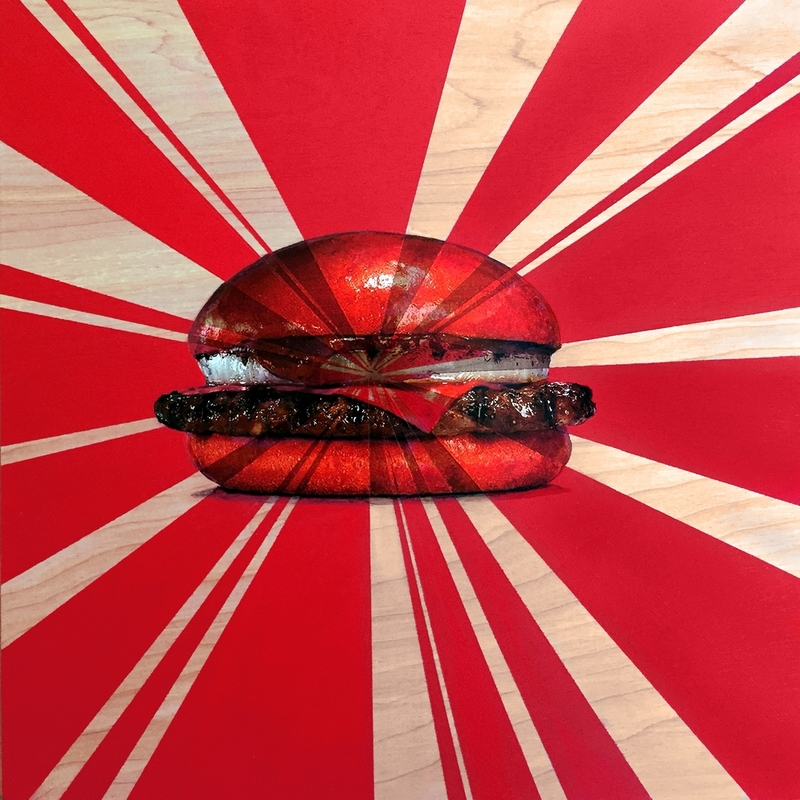 "Red Burger" Photo transfer, acrylic, ink. 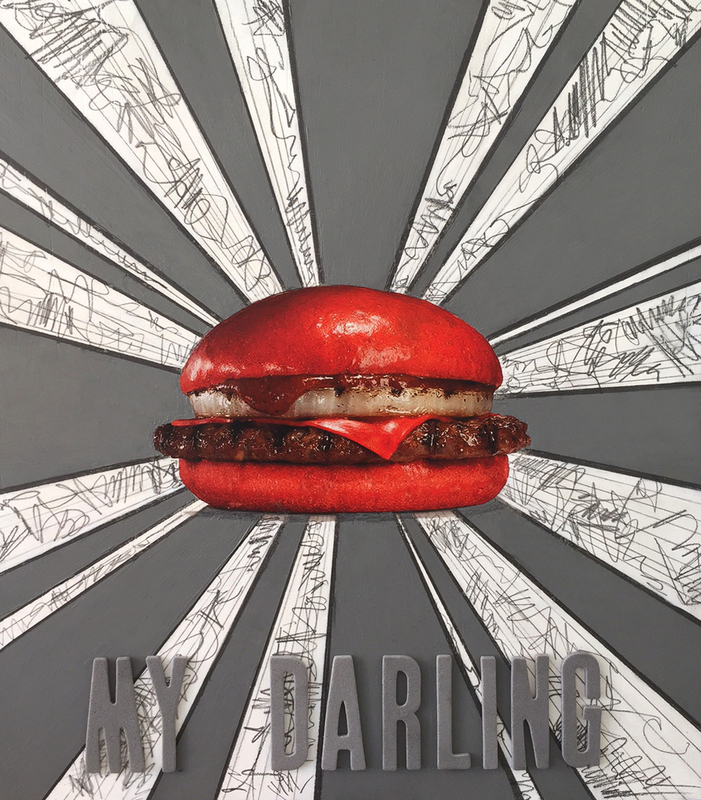 "Black Burger" Photo transfer, acrylic, ink.